To ensure that people with complex needs progress, it is imperative that support plans reflect the complexities of each person and support delivery is in place to manage all associated comorbidities holistically. Traditional models of support have focussed on a model of ‘doing for’; however, this hinders progression and does not allow for abilities to be recognised and built upon. Rather, we have developed joint approaches and strategies which engage and facilitate people involvement in the overall delivery of services; irrespective of ascribed need. Effective support provision can only be achieved by providing intensive, multidisciplinary, user-led support pathways, working with each person to set flexible, achievable, positive targets. We specialise in supporting adults with Learning Disabilities who may also have Mental Health issues, Autism and needs that challenge. The starting point is looking at what a person can do, as opposed to what they can’t do. We recognise that everyone communicates in one way or another. Bridging communication barriers requires being engaged and responsive to these nuances. We work closely with Speech and Language Therapists for people who have non-verbal communication to identify the most appropriate medium. Through engagement, we can determine their current situation and presenting abilities to build a holistic perspective of how best to support each person progressing towards their goals. To facilitate this, we form part of the ‘Formulation triad’, consisting of a variety of disciplines within the health and social care arena. Objective of the ‘Formulation triad’, is identifying strategies to reduce multiple risks, with a goal to support a person to achieve greater control of their presenting difficulties. We meet monthly as a minimum looking at ways for progression, as well as devising strategies to mitigate risks. We advocate positive risk-taking and people proactively taking ownership of their well-being. By adopting a partnership approach, we can determine assigned responsibilities, to ensure everyone is working in the best interests of the individual. 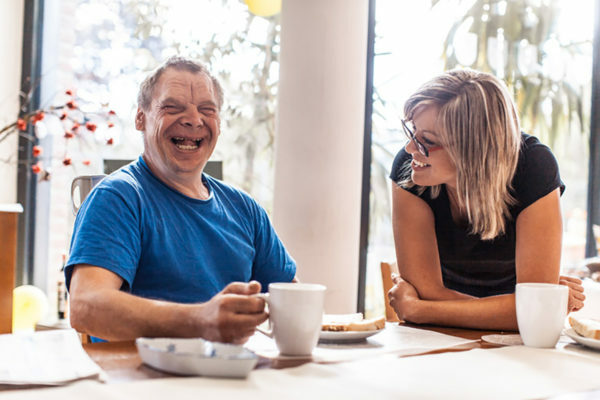 We also support the rights of those with complex needs to gain either paid or voluntary employment; we work closely with Occupational Therapists to address sensory needs and identify suitable environments. A key provider is Snakehall Farm; which is an agriculture placement providing work experience and horticultural therapy. Many people have heard of autism and the autistic spectrum but not many people really understand what this means to an individual. Autism is a lifelong developmental disability which affects how people perceive the world around them and affects how they communicate with people around them. The term autistic spectrum is used, as the condition will affect people in different ways whilst sharing other difficulties. This means any support must be tailored to the individual, not the disability. Our specialist services are for people with highly complex needs, who may have been through previous family and placement breakdowns. Such people may have current involvement with the police and mental health services. All of our staff who work within our specialist autism services are trained to understand how autism will affect different people and that may have hypersensitivity to sensory stimulus so environmental factors are always considered. They will also understand how the triad of impairments that characterises autism impacts on each individual so that the support plans are individually tailored to each person. We are able to work with any local authority to source accommodation and provide specialised and tailored support. Each person is unique, and our service must, therefore, be unique too. Referrals for our specialist service can only be discussed with our company Director.